Product Description: This is for the supply and fitment or the Dension Gateway 500 iPod/USB Kit. This System is only suitable for models with the MMI 2G Basic and MMI 2G High Installed. This includes the A4 8K, A5 8T, A6 4F, A8 4E and Q7 4L. This item is Brand New and comes with a 12 month Warranty. 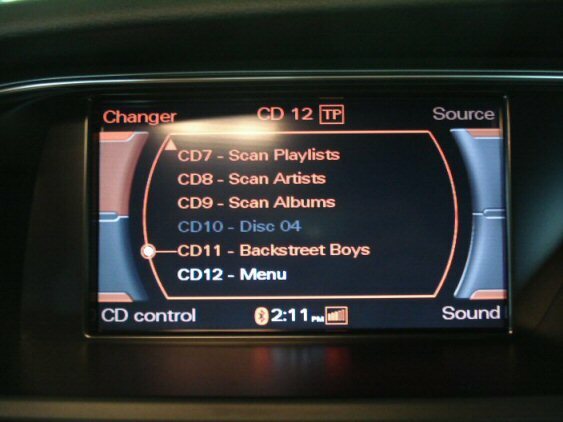 CD 7-12 are the Dension kit, CD7 - Scan Playlists, CD8 - Scan Artists Etc. however there will be a cross-over switch fitted so you can still use the original CD changer (if fitted). The Kit uses CDs 1-6, CD 1 - Scan Playlists, CD2 - Scan Artists Etc. Note: Software update may be required for best functionality. This will cost extra if required. We recommend this kit for use with MMi 2G basic. 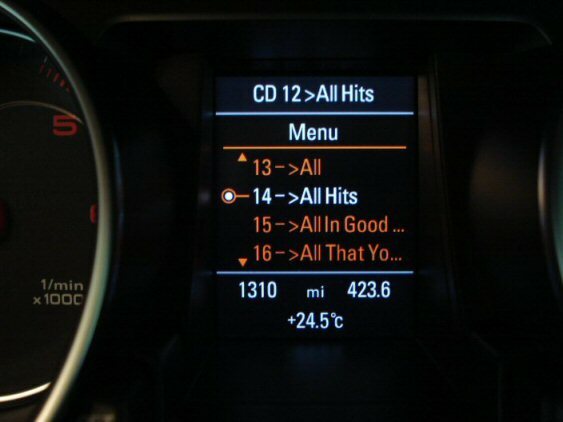 This is mainly due to the fact that the MMi 2G basic cannot be fitted with the Genuine Audi AMI kit. If you have MMi 2G High we would recommend the Genuine Audi AMI MMI 2G Kit. All parts are Dension and come with a 12 month warranty. 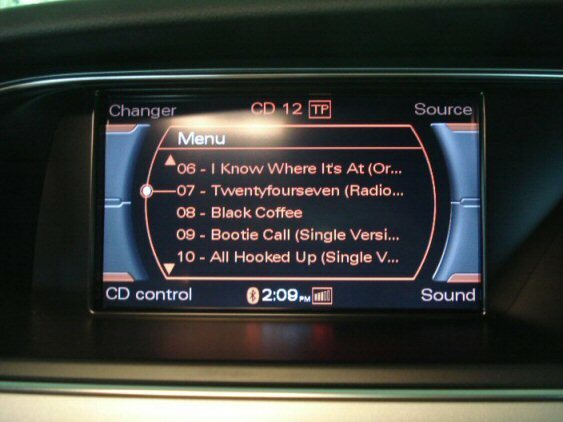 Above: Select CD 7-12 for iPod Options. Above: Track names etc can also be selected with the MFSW through the DIS.